A Fund of Funds (FOF) is an investment vehicle where a fund invests in a portfolio composed of shares of other funds rather than investing directly in stocksStockWhat is a stock? An individual who owns stock in a company is called a shareholder and is eligible to claim part of the company’s residual assets and earnings (should the company ever be dissolved). The terms "stock", "shares", and "equity" are used interchangeably., bondsBond PayablesBonds payable are generated when a company issues bonds to generate cash. Bonds Payable refers to the amortized amount that a bond issuer holds on its balance sheet. Bonds payable are considered a long-term liability and are or other securities. The strategy of investing a fund of funds aims to achieve broad diversification and asset allocation where investors can get broader exposure with reduced risks as compared to investing directly in securities. A fund of funds, also referred to as a multi-manager investment, gives small investors broad diversification to hopefully protect their investments from severe losses caused by uncontrollable factors such as inflation and counterparty default. Portfolio managersPortfolio ManagerPortfolio managers manage investment portfolios using a six-step portfolio management process. Learn exactly what does a portfolio manager do in this guide. Portfolio managers are professionals who manage investment portfolios, with the goal of achieving their clients’ investment objectives. use their expertise and experience in identifying the best selection of funds to invest in, based on their past performance and profitability. Depending on the expertise of a portfolio manager, a FOF investment has the potential of earning a higher than average return. A FOF may be designated as fettered or unfettered. A FOF is classified as fettered if it invests only in funds managed by the same company that manages the FOF, while unfettered FOFs have the flexibility to invest in funds outside their company offerings. Hedge funds tend to be opaque regarding their asset classification and investment strategies, and hedge fund managers often make it difficult for investors to distinguish the good from the bad. However, this is different with a FOF, which serves as an investor’s proxy. The fund of funds manager performs due diligence, and manages the selection process and oversight of the funds under their company’s management. Through a FOF, investors benefit from professional management services and also from greater transparency regarding the fund’s holdings and investment strategy, as compared to a typical hedge fund. The formal due diligence process allows FOFs to hire managers who have reputable experience in managing a portfolio of investments. The process entails conducting background checks of new fund managers to know their history and if they have ever been involved in activities that may affect the performance in the fund. The FOFs may contact security firms to conduct background checks, along with reviewing the manager’s credentials. Through this process, a fund may weed out managers with a bad reputation or a history of underperformance. A FOF aims at diversifying the risk of a single fund by investing in several types of funds. 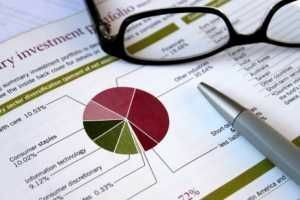 An investor with limited capital can invest in one FOF and get a diversified portfolio consisting of, for example, bonds, gold, equity, and debtMarket Value of DebtThe Market Value of Debt refers to the market price investors would be willing to buy a company's debt at, which differs from the book value on the balance sheet. A company’s debt isn't always publicly traded bonds, which have a specified market value. Companies own debt that can be classified as non-traded. Such a portfolio combination is rarely found in the average mutual fund. The FOF’s asset allocation mechanism reduces risk exposure with the aim of protecting investors from uncontrollable factors that may wipe away their investments. For example, if an investor only held bonds in a company that was later downgraded by a rating agency, the bond would decline in value. However, if an investor held a single FOF, their risk would be diversified across several investments. Fund of funds investors typically pay higher fees than investors in traditional investment funds. The fee comprises the fees of the underlying funds and the professional management fees charged by the FOFs. After paying all the management fees and taxes on the investment, investors in FOFs may earn lower net returns than if they had invested in a single regular mutual fund. The average rate of management fees is 1.5% to 2% of the assets under managema ent, while the performance fees may be 15%- 25% of profits. However, the Securities and Exchange Commission limits the amount of fees that a fund can charge its investors. Although diversification is considered a favorable strategy for reducing risk exposure, it may not result in optimal gains because the process of selecting funds managed by a large pool of fund managers is a difficult task. Investments aimed at broad diversification tend to underperform during times when only one or two market sectors or asset classes are performing well. Investors should also understand that the past performance of the fund and its manager does not guarantee results in the future. The success of FOFs depends on the ability of the fund manager to choose funds that produce a high rate of return on investment. The fund manager receives compensation as a percentage of the assets under management and as a percentage of profits. Depending on the amount of performance fees that a manager gets, he may take higher risks with the aim of making higher returns for himself and the fund’s investors. If the manager is an active trader, he may make frequent transactions to profit from temporary price fluctuations. As a result, fund investors will be subject to the higher tax rate applicable to short-term capital gains as compared to the lower tax rate they would be subject to using a “buy-and-hold” strategy. Some FOFs may impose restrictions on withdrawals or transfers and therefore be difficult to quickly convert into cash, thus making them less liquid than some other investments. The opportunity to transfer funds may be limited, for example, to only one withdrawal or transfer per quarter or per year. Some funds introduce such limitations to reduce variability in investment portfolios and to protect against the mass exit of the fund’s capital providers. For example, in 2016, funds of hedge funds lost more than $100 billion over a period of 12 months due to market underperformance and mass exits from the funds by investors. As a result, the funds were unable to generate good returns partially because of the loss of huge amounts of investment capital, which limited the funds’ ability to acquire new, more profitable investments. Alternative Investment MarketAlternative Investment Market (AIM)The Alternative Investment Market (AIM) was launched on 19 June 1995 as a sub-exchange market of the London Stock Exchange (LSE). The market was designed to help small, high-growth companies that are keen on raising capital for expansion.